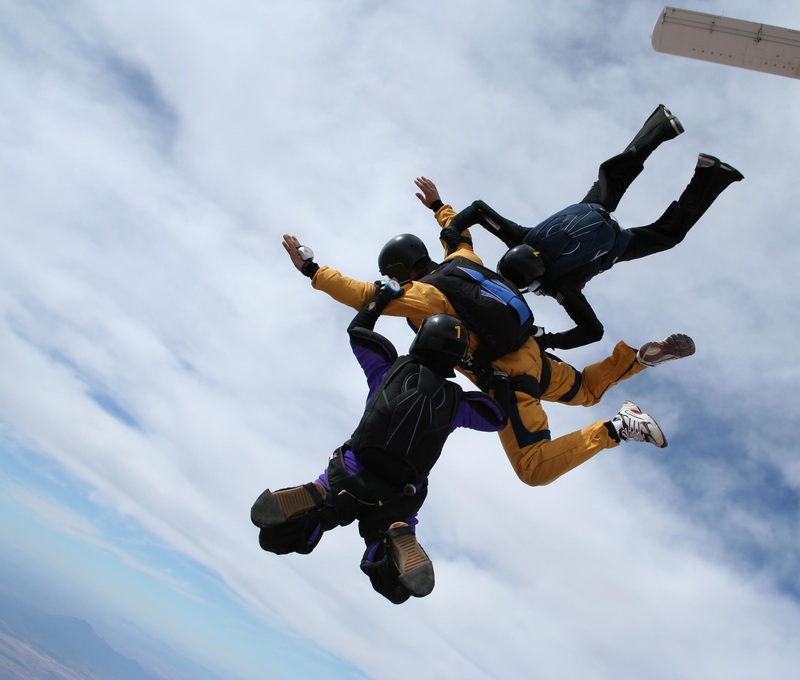 The Accelerated Free Fall (AFF) Training Program is the most up-to-date and fast training skydiving method. 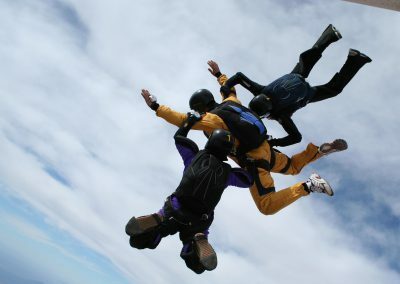 It’s a programme planned to train you to the point where you can skydive safely by yourself. 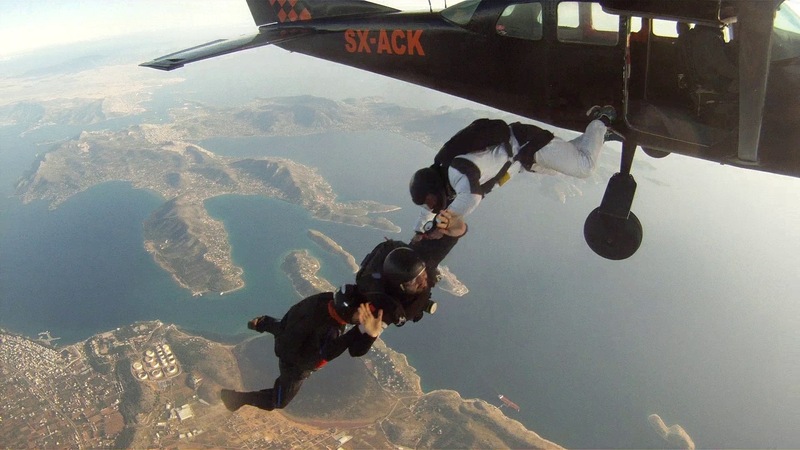 The experienced instructors of Skydive Greece will provide personalized training during the AFF course and the required knowledge and skills throughout the programme, in order to render the student an autonomous and safe skydiver. AFF is a seven level progression program. The AFF course begins with a five to seven-hour ground school. 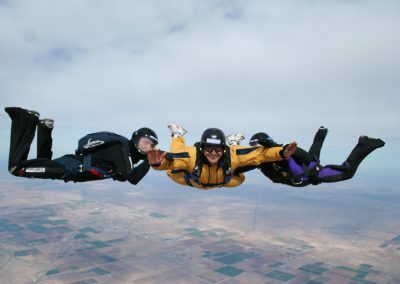 Once you complete the AFF ground school you will be ready to jump with your two instructors wearing your own skydiving rig and parachute system. 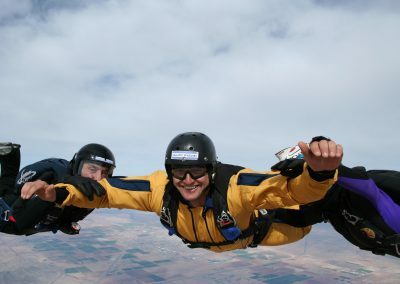 You will exit the aircraft from nearly 11,000 feet where you will experience the rush of your first skydive at 120 mph! 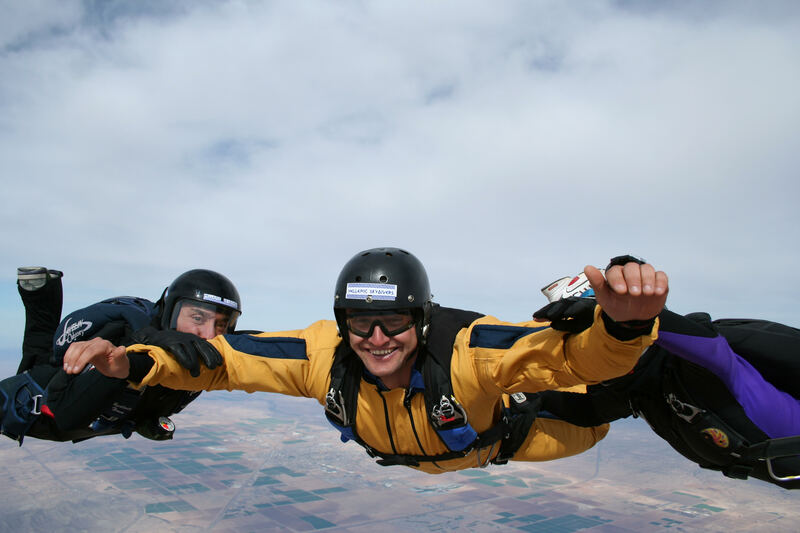 Your two highly experienced instructors will guide you through the criteria of your skydive until it is time for you to deploy your main parachute. Once you deploy your parachute, you will be provided radio advice while you steer your parachute to land in the designated student area. As you progress through the AFF program two instructors will accompany you through level three. Once you reach level four, you will be accompanied by one instructor. All the training is personalized and you will progress at your own pace. Most people are able to complete the seven levels in seven to ten jumps. 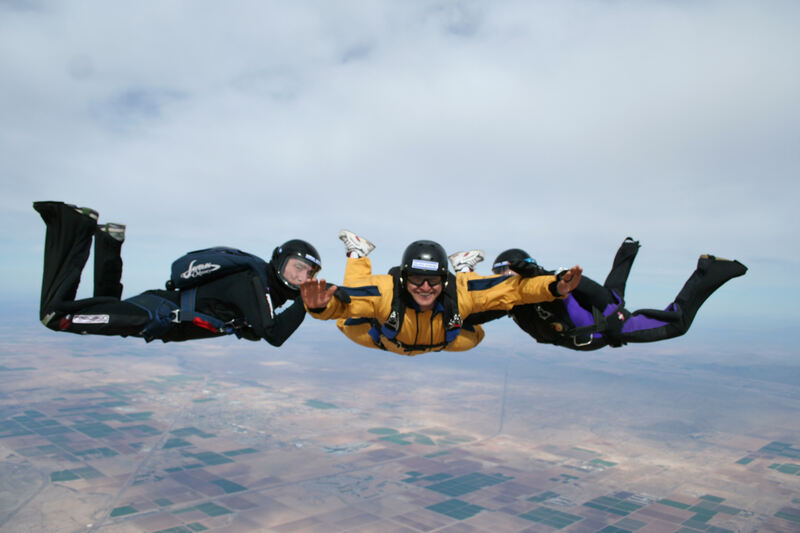 Once you complete all seven levels, you will be cleared to make solo skydives and work your way to becoming a licensed skydiver through the United States Parachute Association.